Catalogue > Cities: maps and sights of cities and villages > 4. North Holland > AMSTERDAM. Munttoren en 's-Gravelandse Veer. 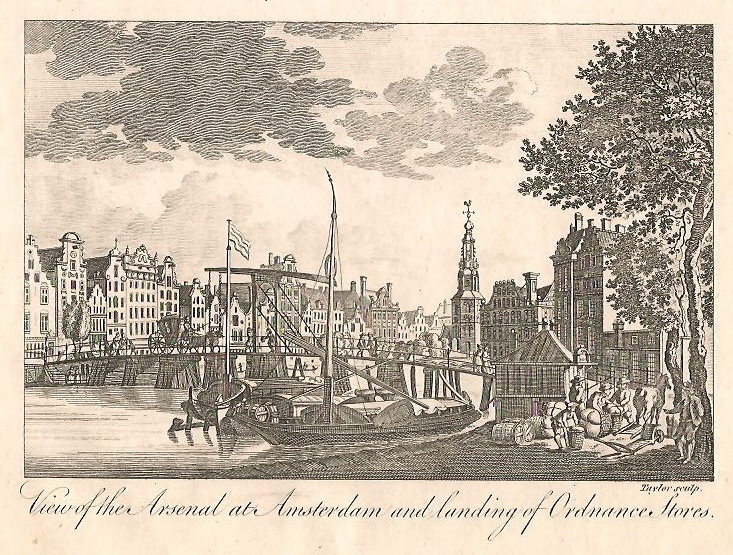 View of the Arsenal at Amsterdam and landing of Ordnance Stores. 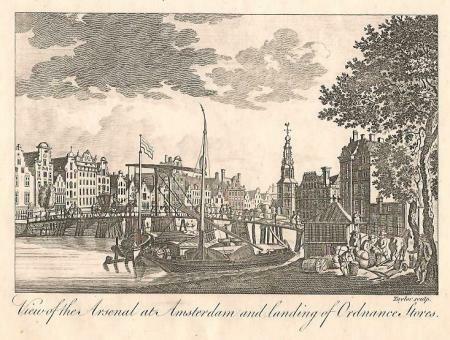 Kopergravure door Taylor, uitgegeven te Londen in 1787-1790 in New System of Geography (...), Thomas Bankes. Hoogte 13 cm; breedte 17,5 cm.